Prevalent in schools, Supreme has become the hype of 2018. Their clothing not only ranges from hoodies to beanies, but even Nike x Supreme shoes and Louis Vuitton x Supreme handbags. Not only is supreme slowly rising as “Hollywood’s favorite fashion brand,” but is uniting celebrities of different styles. However, why is Supreme so popular? Similarly, students strive to display their “swag” and fashion even at school. It is hard to walk down the hallways without seeing at least a few people covered in Supreme. Even then, this might not be the main reason why people wait hours in line just to get a hold of a shirt. 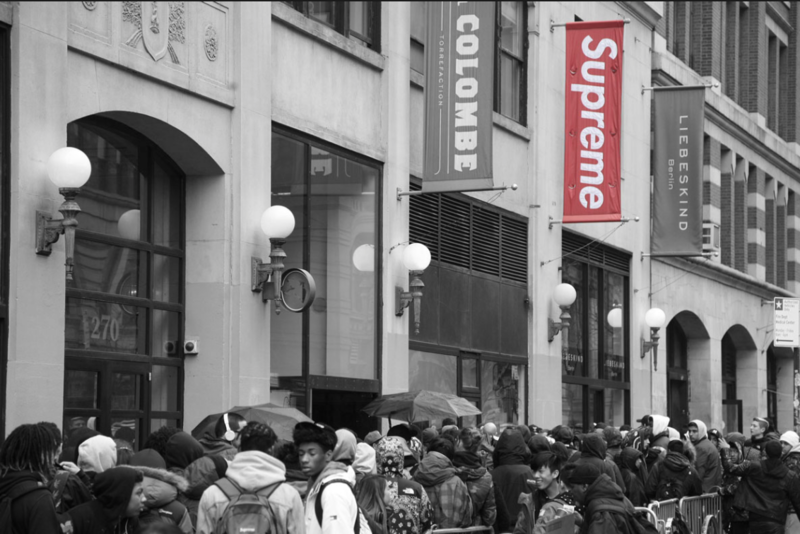 More commonly, people will wait in six-hour long lines because of the resell value, the real reason for all the hype. Though the shirts might cost two hundred dollars in the beginning, they could sell for more than double the price. Though Supreme is considered a luxury brand, it still brings up the question of whether or not their items are overpriced. On Streetwear Official, an online clothing site, Supreme beach balls are being sold for one hundred fifty U.S. dollars, and Supreme/Fila wristbands are being sold for two hundred U.S. dollars. Some might be confused to why people would spend their “hard-earned money” on these items; however, their way of thinking plays a role in their decision. People all over the world buy luxury items to feel happy, but should people really rely on clothing and accessories to fulfill their happiness?